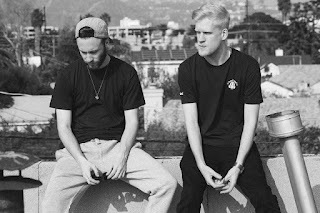 Snakehips featuring Chance The Rapper & Tinashe – "All My Friends "
UK Production duo Snakehips continues to get better and better, which has all gained them a legion of new fans. Yet, "All My Friends" might be one of their biggest collaborations to date with Chance The Rapper and Tinashe. I'm already a huge fan of Snakehips and Chance, so this song sold me right from seeing the title. I think this song is going to catch on pretty quickly, but I'll let you be the judge with the stream below.